Cherokee Workwear is no-nonsense and dependable - but still casually stylish. 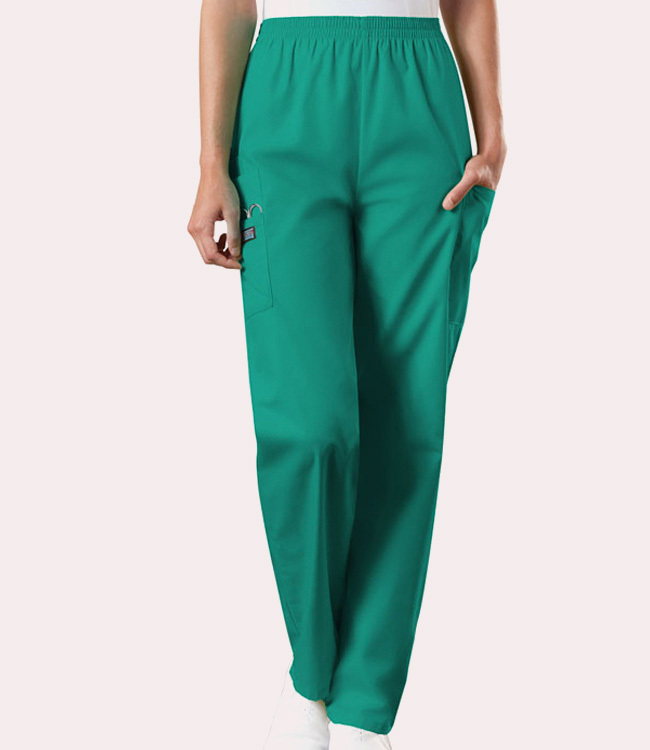 This basic pant features side vents at the bottom of the flared legs, an adjustable front drawstring, back elastic waist, side-slash pockets and one back pocket. 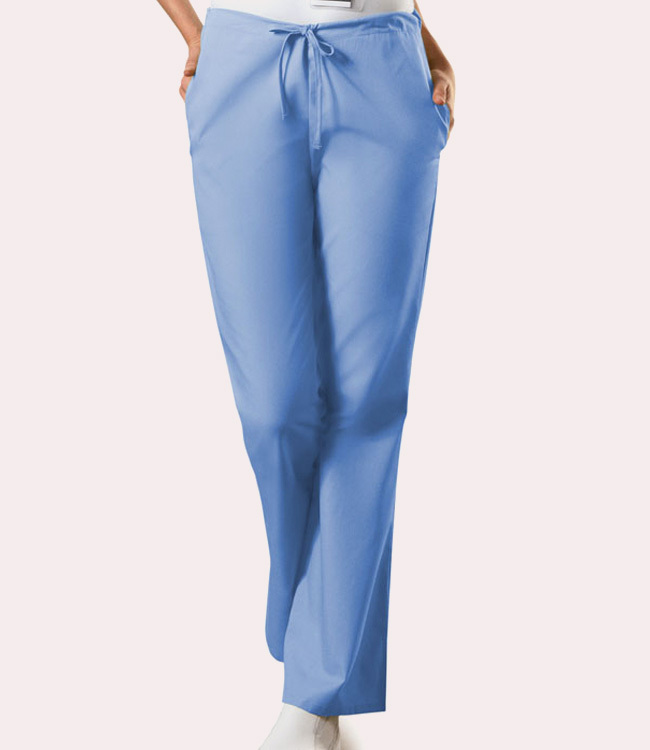 All Cherokee Workwear is made of durable, easy-care fabrics, with colors that will stand up to fading. Workwear builds the quality in and leaves the bells and whistles out.